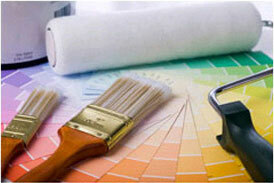 Which home improvements increase your home's value? Enter your ZIP code to find out. Getting ready to sell your house? Add thousands of dollars to your home's value with these home improvement tips. Below are home improvement tips and checklists to help organize your projects for each area of your house. *The guide is a PDF file. You can download the free viewer by clicking here. HomeGain's home improvement Home Sale Maximizer™ tool is an online tool based on a survey of nearly 1,000 real estate professionals, that gives customized recommendations by zip code to help homeowners prepare their homes for sale. Make your home more marketable and reduce its time on the market by making the recommended small house improvements that you can do yourself. Find out the average cost of the top 12 home improvements like painting, landscaping and home staging and get the average price increase that each could add to your home's resale value! Staging your house for example, helps potential home buyers visualize living there which can help speed up the sales process and get your home sold quicker. Set your home apart from the rest and get your house noticed by serious buyers by using HomeGain's home improvement tool. Spending a couple hundred dollars can put a few extra thousand dollars into your pocket! Home Stagers and REALTORS®: Get FREE copies of the home improvement sliding tool for your office.